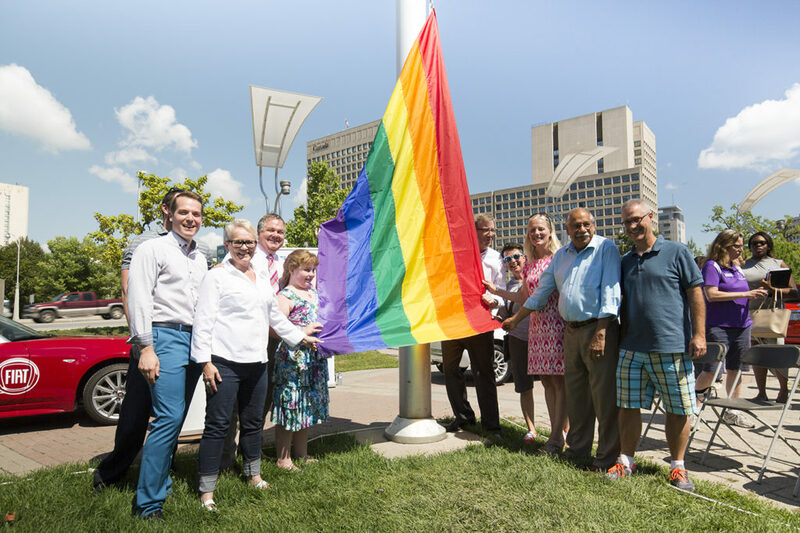 The annual Capital Pride week officially started today with a flag raising ceremony outside City Hall. 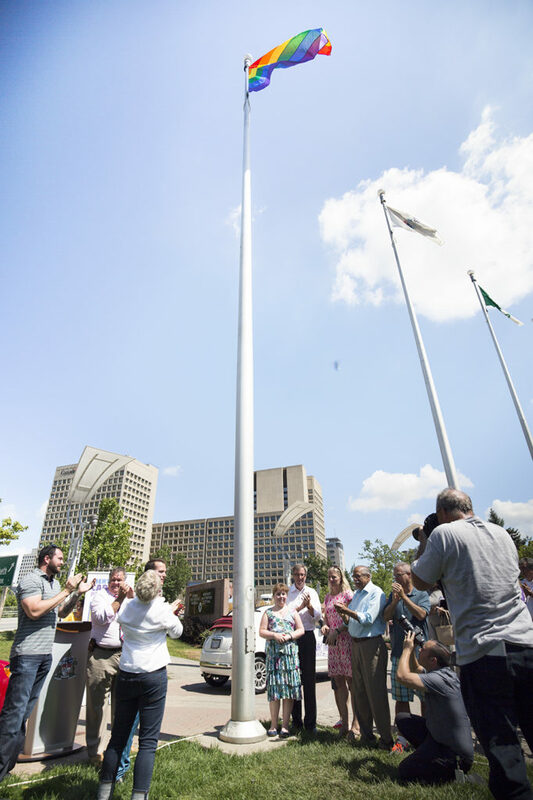 Mayor Jim Watson and the Minister of Environment and Climate Change Catherine McKenna were in attendance. Prime Minister Justin Trudeau won’t be attending any of the festivities this year, however, Watson did say that they would try to get him to attend next year as part of the city’s 2017 celebrations for Canada’s 150th birthday. Controversy regarding police attending the parade in uniform was also addressed at the ceremony after Black Lives Matter Toronto stopped the pride parade in that city, demanding uniformed Toronto Police officers be excluded from future events, among other things, to make Toronto Pride more inclusive for the black community. Tammy Dopson, Capital Pride’s chair and spokesperson, says the organization wants participants to present themselves however they’re comfortable and that includes police uniforms, as they are about inclusion and will not tell anyone what they can or cannot wear to the festival. Ottawa Police say the choice to wear their uniforms or leave them at home will be up to the individual officers.